Sleepless nights are one of the major causes of stress in many people’s lives, but the good news is that investing in a quality memory foam pillow can improve the quality of your sleep tremendously. If you are still sleeping on a lumpy sack that you bought years ago, you may suffer from stiffness, neck pain, and persistent headache. Whether this happens regularly or not, the best memory foam pillow for you can alleviate these symptoms by keeping your spine aligned perfectly and going a great job at supporting your head. When considering the best memory foam pillows on the market, we took into account multiple essential factors that determine the quality of a pillow, including the type of memory foam, adjustability of pillow height, cover fabric, and the various sizes a particular model is available in. All of these features are essential for a quality pillow, and you should consider them all before choosing the best model for your bedroom. We spent days researching the best memory foam pillows on the market, looking at reviews from professionals and consumers alike, and testing the pillows ourselves. 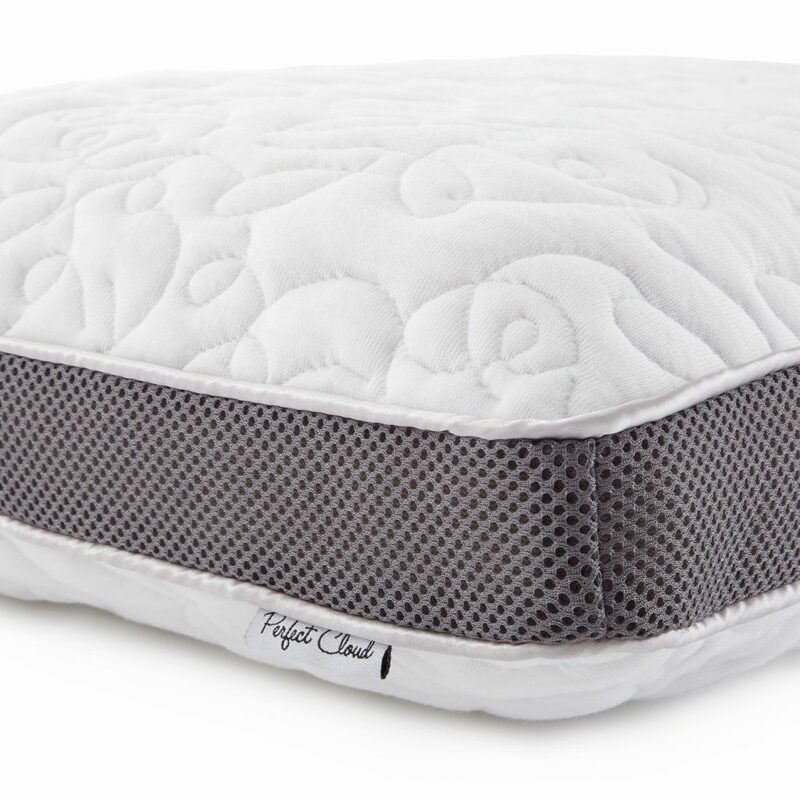 The final result of our thorough research is a comprehensive comparison table featuring 11 of the best memory foam pillows out there, together with in-depth reviews for each of them. At the end, you will also find a buying guide that can help you make the right decision for a better sleep. 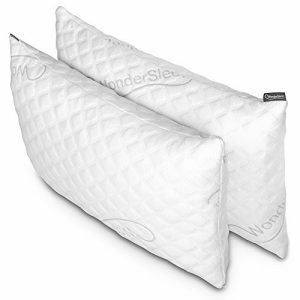 Now let’s have a look at the best 11 memory foam pillows we selected. Our best all-around choice is the Tempur-Pedic TEMPUR-Adapt pillow, which is a suitable choice for anyone who loves sleeping on memory foam, including stomach, back, and side sleepers. A good option for most body types, this pillow is made from a block of foam that adapts to the head, neck, and shoulders for a personalized sleeping experience. 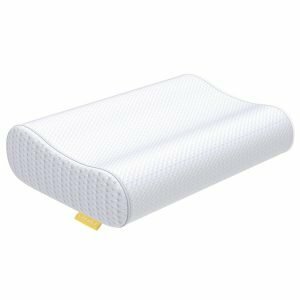 What many users liked about the Tempur-Pedic TEMPUR-Adapt pillow is the fact that it is available in both Queen and King sizes and that it works well for those who prefer a high-profile height but are still interested in a good level of support. 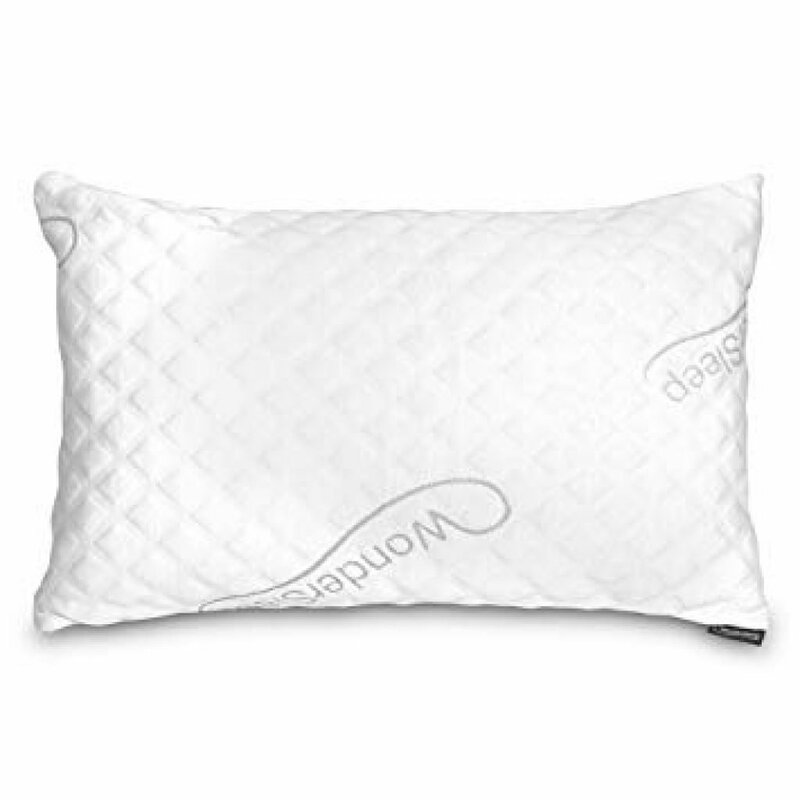 The removable and washable cover is made from premium quilted material and is soft to the touch. Many users mentioned that the premium knit cooling cover remains cool to the touch even after washing it multiple times. Reviewers also raved about the way the pillow can adjust to the perfect height even though it doesn’t look too slim in the beginning. While some users have found the pillow rather tall, the majority reported that it adjusts to the body type over time for a truly personalized result. 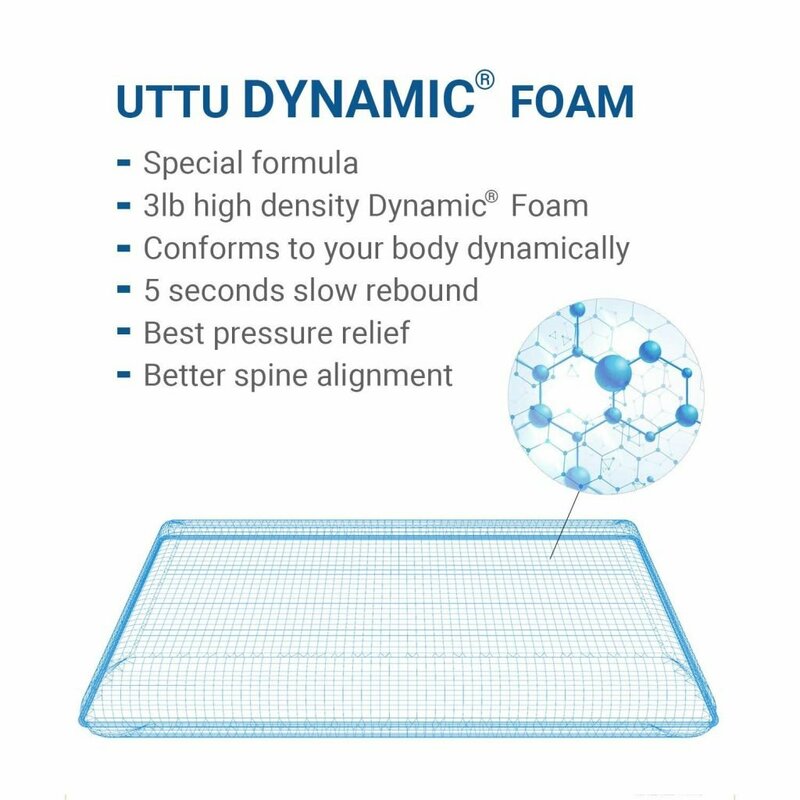 Finally, many users mentioned that this pillow is an excellent choice for those who suffer from neck or back pain and that it alleviates symptoms over time. 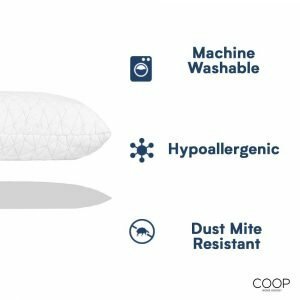 The ideal pillow for those who are looking for a pillow that remains cool to touch no matter the temperature, the TEMPUR-Cloud Breeze Dual Cooling Pillow has a gel layer that draws heat from your body to maintain a constant temperature and avoid overheating. The pillow is available in a queen size and king version, and according to the manufacturer, it is suitable for all kinds of sleepers, including back and stomach ones. Many users mentioned that this TEMPUR pillow has a high loft and that it retains its height in true memory foam fashion, which means that you won’t have to deal with a redistribution of the filling throughout the pillow. The cover of the pillow is removable and breathable, and all the seams are double-stitched. 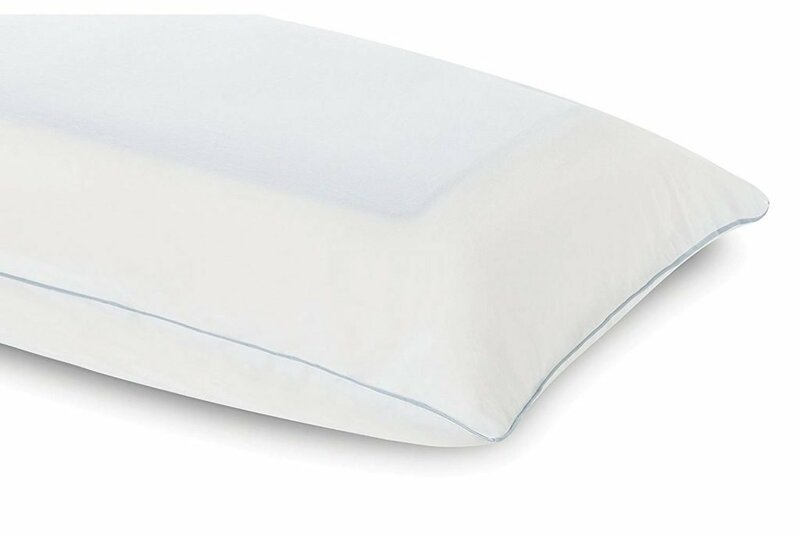 Most customers rate the sleeping experience on this pillow as a positive one, and even though some side sleepers found the pillow a bit too soft, they mentioned that it provided suitable support for their neck, especially if they used it with another pillow underneath it. Many users also like the fact that the cooling effect is immediately noticeable against the skin, which increases the quality of sleep, especially in warmer months. Some users mentioned that sometimes the pillow creates too much warmth when the body heat sinks in, but this can be easily remedied by choosing a different fabric for a pillowcase. This orthopedic pillow is one of the best pillows out there for those who are looking for a pillow with a bamboo cover that reduces the heat retaining aspect that comes with most memory foam pillows. Consisting of 100% dynamic foam, this pillow adjusts to your body while providing a good level of support where necessary. 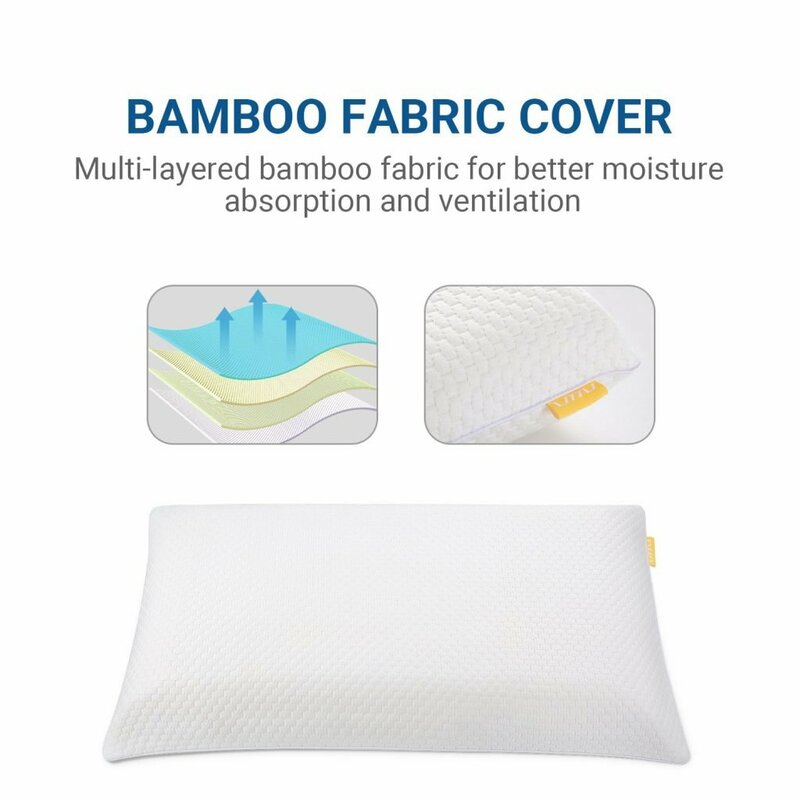 The outer cover of the pillow is made from bamboo with bits of polyester, which makes it both breathable and smooth to the touch. The cover is hypoallergenic, which of course comes in handy for those who suffer from different types of allergies. The manufacturer recommends this pillow especially for those who suffer from neck pain, mostly because of its supportive qualities. 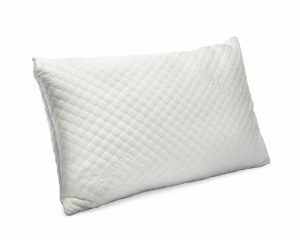 Users like the fact that this pillow comes with a five-year warranty, which means that should any problems arise, you can get a no hassle replacement. Another thing that is often mentioned was that it is easier to remove the breathable cover included with this pillow and wash it in the washing machine. Because this pillow is adjustable for different types of sleepers, it makes choosing a pillow someone less daunting task, especially for those who are not sure what type of sleeper they are. 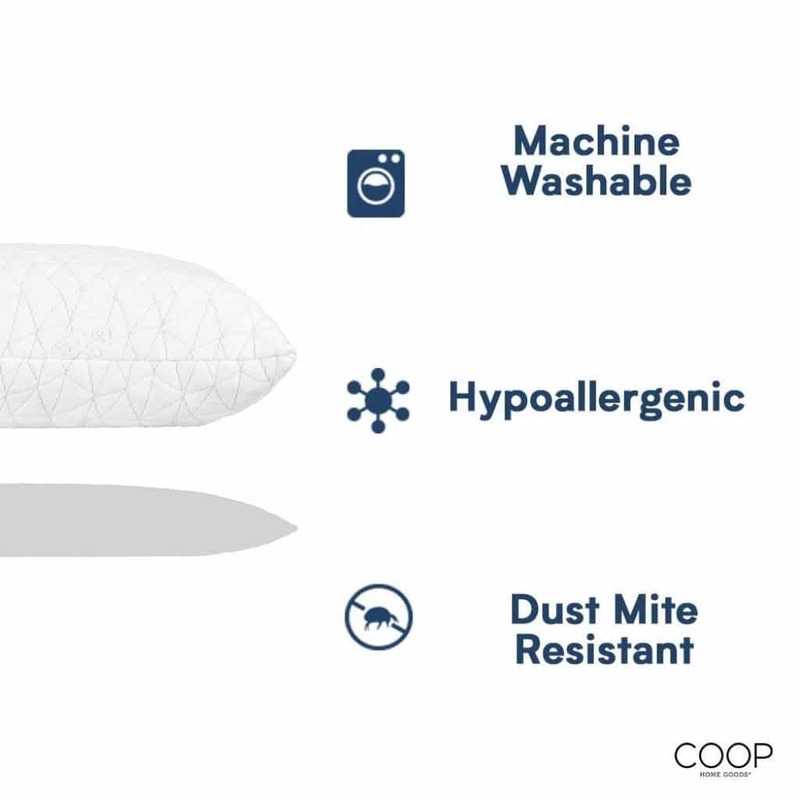 The UTTU pillow conforms to your body, so you can take the guessing out what type of pillow would work best for you. All the layers inside the cover are adjustable and removable, which means that if you find the pillow to be too flat, you get to add extra layers or remove them if the pillow feels too high. 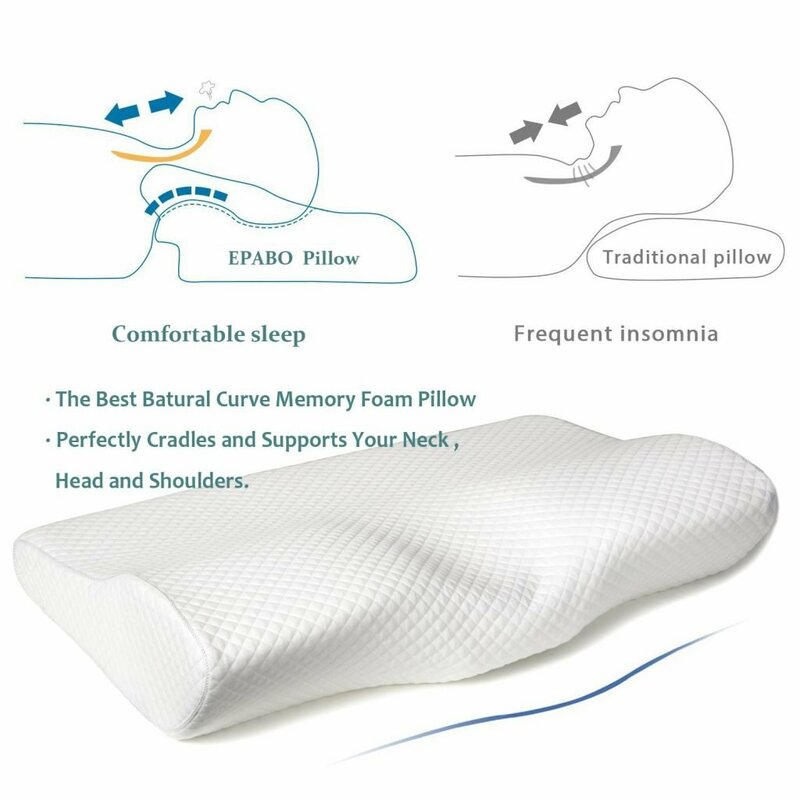 With the Classic Brands Conforma Ventilated Memory Foam Firm Pillow, your head and back remain straight during the night, which means that space and curve of your neck are appropriately maintained. 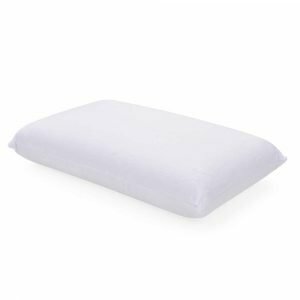 Featuring a soft and luxurious cotton blend fabric, this medium firm memory foam pillow is also antimicrobial and bacteria resistant, which makes it a suitable choice for those who suffer from allergies. The pillow is available in queen and king sizes, and most users like that it is well ventilated, so you don’t overheat during the night, especially during summer months. 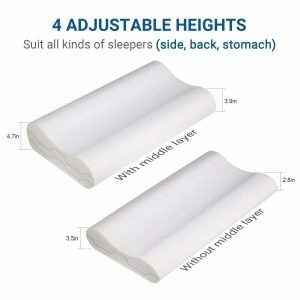 This is an ideal pillow for back and side sleepers, and most reviewers like it because it is not only affordable but also very supportive for both the neck and back. Many of them mentioned that the pillow adapts to the body quickly and provides a good level of comfort almost instantly. This moderately priced pillow has a softness to the touch that you generally find in more expensive models. 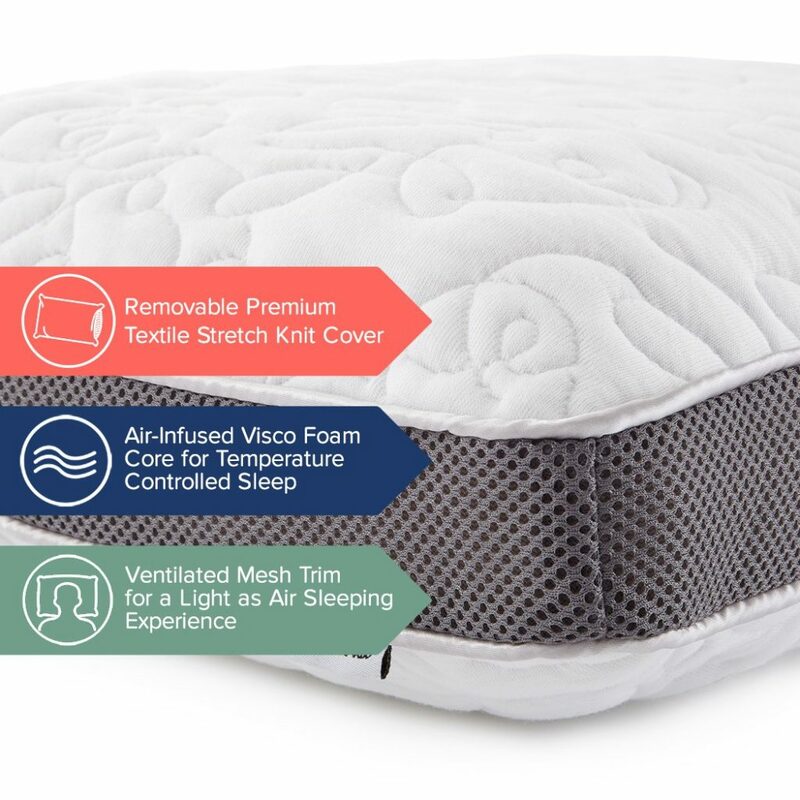 The ventilated memory foam of this pillow promotes airflow and regulates temperature, which means that you will be comfortable while you sleep no matter the season. 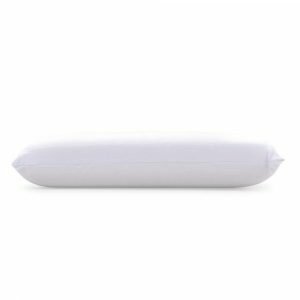 The responsive memory foam this pillow makes it ideal for those who are looking for a good level of ergonomic support. 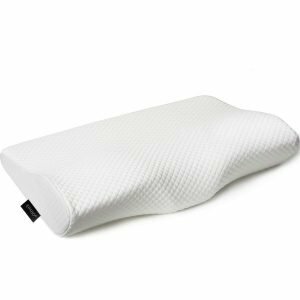 Many of the people who use this pillow mentioned that it improved their back and neck pain and made their sleep so much more comfortable. Our budget pick is the EPABO Contour Memory Foam Pillow, which is one of the best entry level memory foam pillows available on the market. 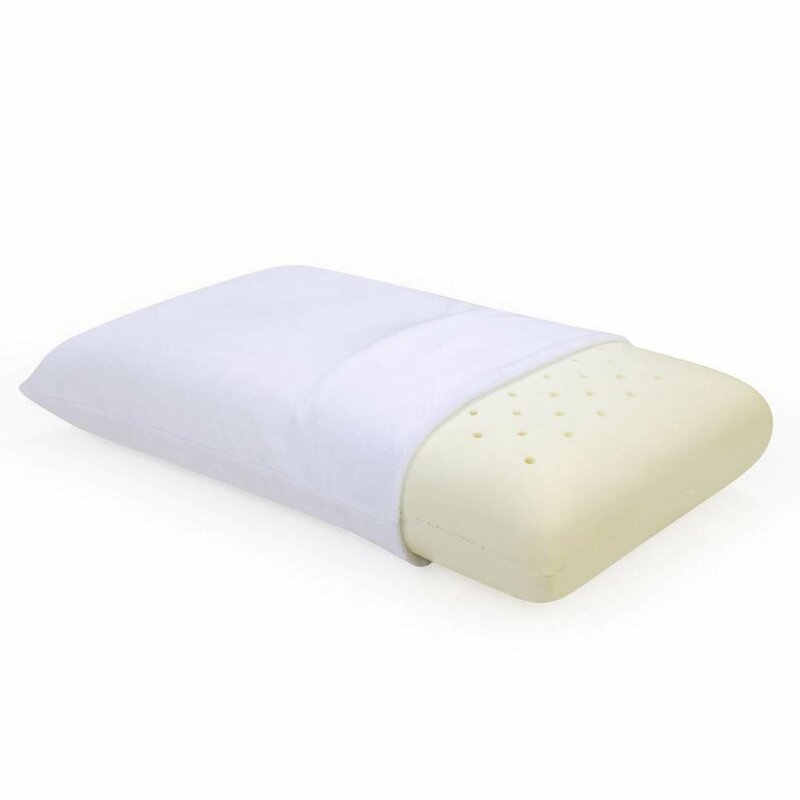 Suitable for side sleepers, as well as back and stomach sleepers, this pillow comes with a free pillowcase and provides relief for back and neck pain. 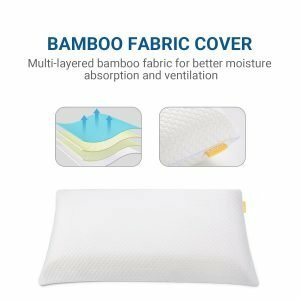 Most of the users who reviewed this pillow mentioned that it keeps you cool and comfortable throughout the night even in summer. The breathable memory foam this pillow is made of provides improved air circulation that keeps you cool and dry throughout the night. The pillowcase is made from hypoallergenic polyester, which feels smooth to the touch while providing you with dust mite protection. The pillow has a removable piece of memory foam about 8 inches thick at the bottom, which allows you to lower the pillow if you find it to be too high. 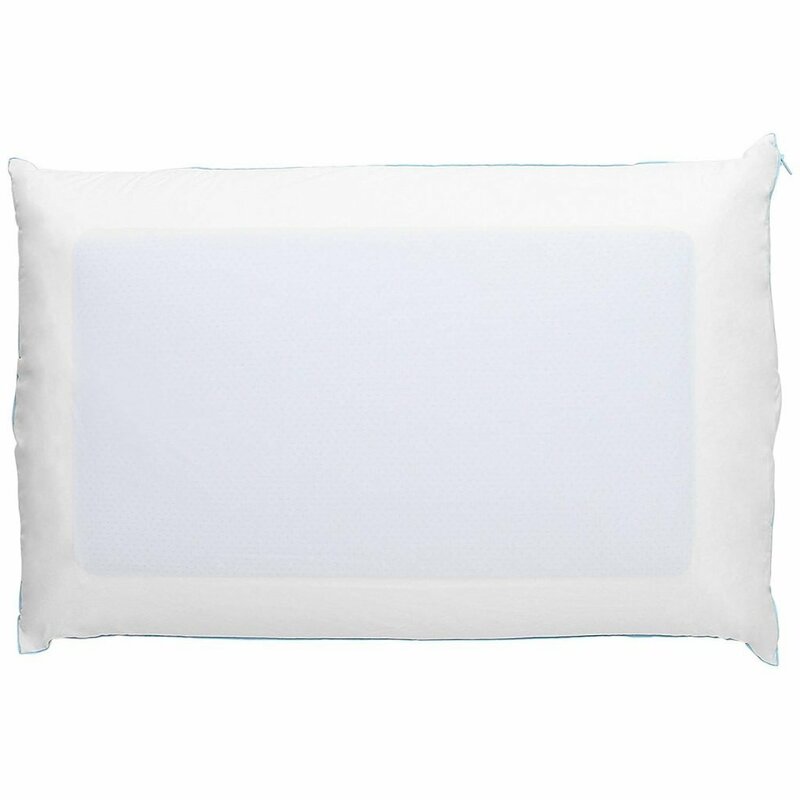 This is a firm pillow, which means that it may not be a suitable choice for those who suffer from severe cervical pain. Users rave about how easy things to clean this pillow thanks to the side zipper that makes removing the inner core very easy. While the memory foam is not washable, the pillowcase is machine washable and tumble dry safe at low temperatures. Some users mentioned that even though you might experience a bit of discomfort during the first weeks of use, the pillow will eventually adjust your body shape and provide you with a personalized sleeping position. 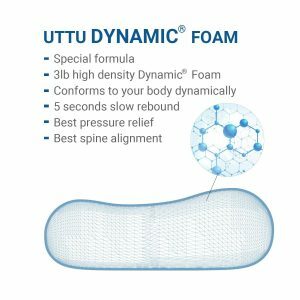 A soft memory foam pillow that conforms to the natural shape of your body, the UTTU Sandwich Pillow – Orthopedic Contour Pillow is a good option for all types of sleepers. Because it is adjustable, you can remove the middle layer of the pillow, so you find your perfect sleeping position easily. 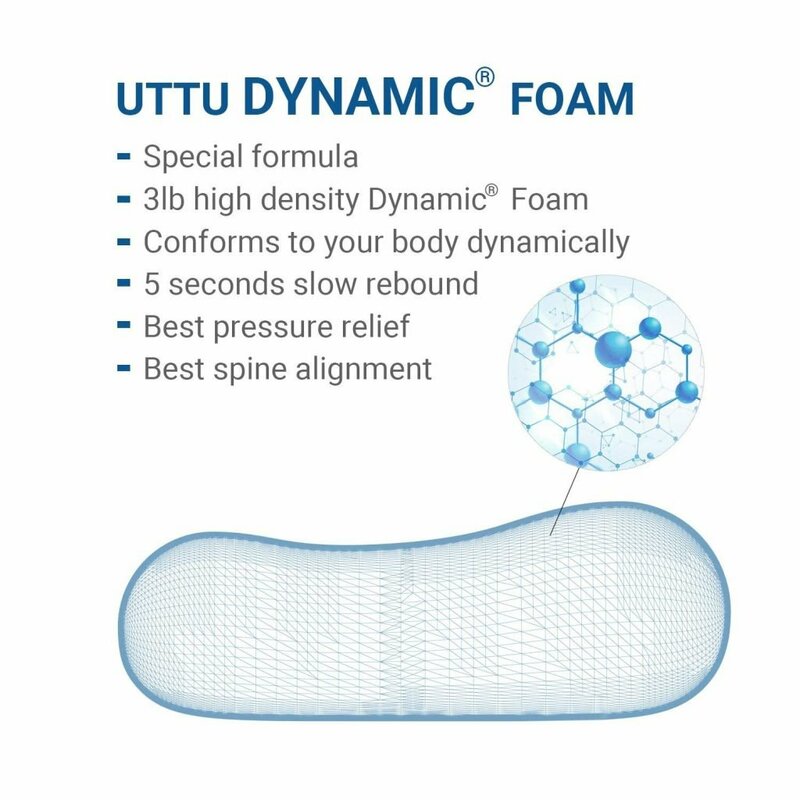 Thanks to the UTTI Dynamic Foam, this pillow never becomes hard and remains consistent in firmness all year long. This pillow received great reviews from users for its cover from a blend of 60% polyester and 40% bamboo. 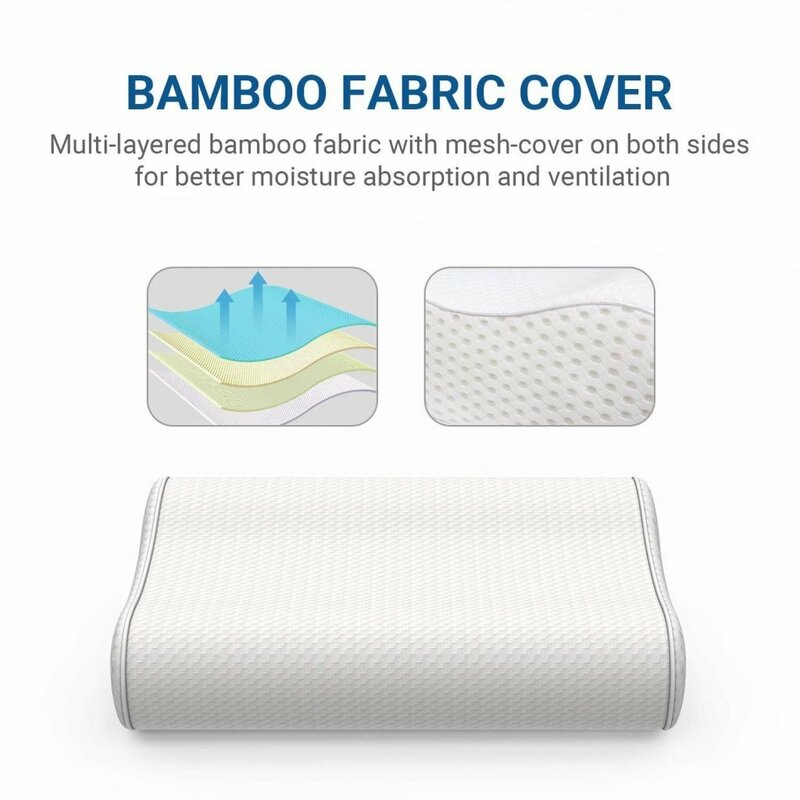 Highly breathable for air circulation the cover is dust mite resistant and hypoallergenic, while also providing you with a cool night’s sleep. 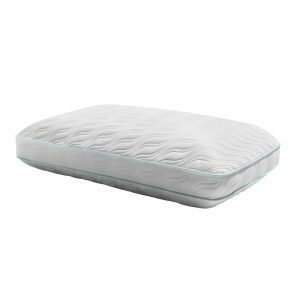 The dynamic foam of this pillow confirms the natural shape of your body to ensure superior comfort for your head and neck. The pillow also promotes proper spine alignment while helping your muscles relax and alleviate shoulder stiffness. Multiple users mentioned that this pillow solves the problem of too much space between the neck and the pillow, so you wake up every morning rested and without any kind of stiffness or pain. Some users mentioned that this pillow is a bit smaller than other models, but because the foam is just the right softness, the pillow makes a huge difference in the sleep. Made from shredded memory foam, the WonderSleep PREMIUM Adjustable Loft Memory Foam Pillow features a cover made from 40% viscose rayon and 60% polyester. 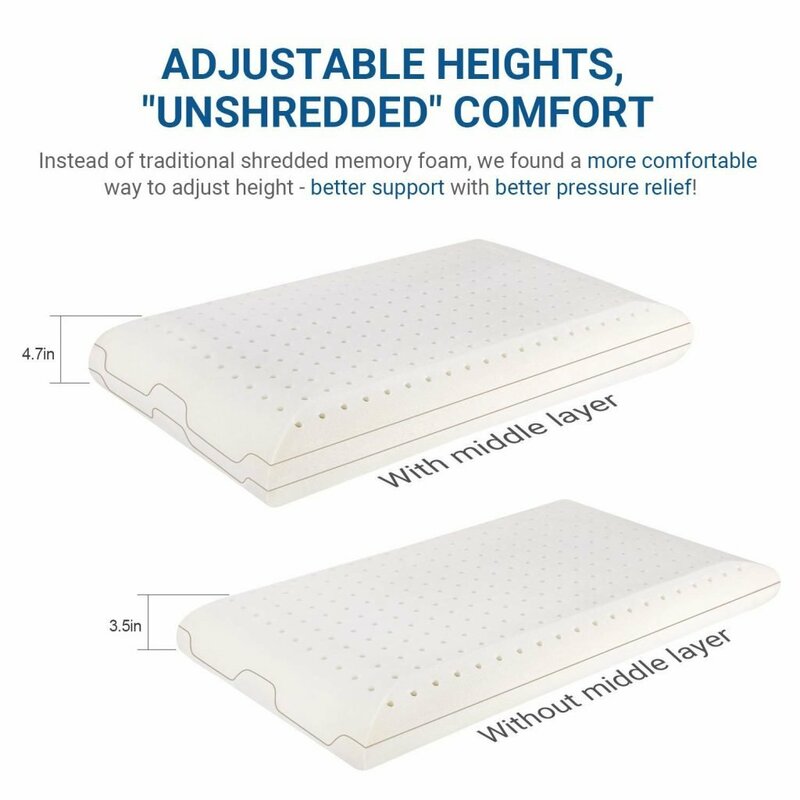 The shredded memory foam offers you the best of both worlds when it comes to pillows because it provides the firmness of a regular memory foam pillow and the soft comfort of a down pillow. Moreover, this pillow is hypoallergenic and dust mite resistant, which means that your allergies will no longer disturb your sleep. 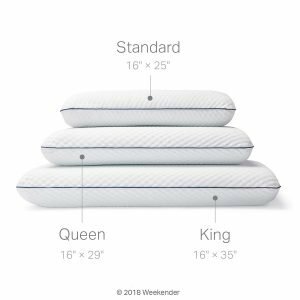 The WonderSleep PREMIUM Adjustable Pillow remains cool during the night, which means that if you live in a hot climate, you don’t have to worry about your pillow getting too warm as you sleep. 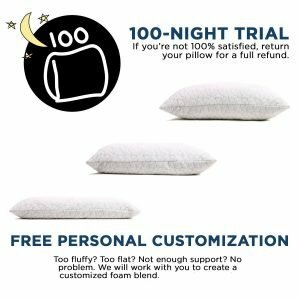 One of the reasons many users gave this pillow a high rating is the fact that it is highly adjustable, which means that you can customize it to your preferences. You can add foam to increase the firmness of the pillow or make it softer by removing some of it. 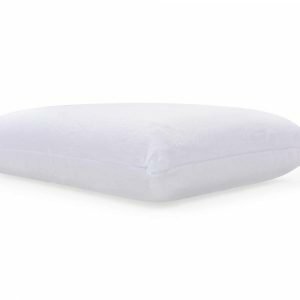 Unlike many other similar pillows, you can fluff this one to even the foam out or even put some foam wherever you feel you need it the most. This pillow is also very easy to clean, as only have to do is remove the cover by unzipping it and throw it in the washing machine just like you would do with a regular pillowcase. The pillow comes in a pack of two and is available in Queen and King size. 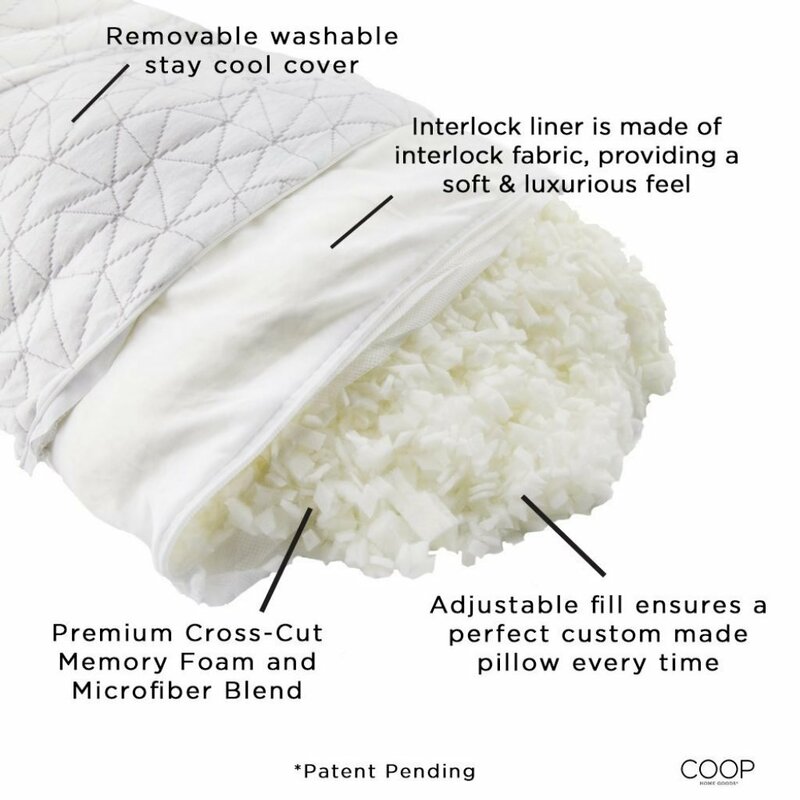 A fully adjustable pillow made with shredded disco elastic memory foam, the Coop Home Goods Shredded Hypoallergenic Certipur Memory Foam Pillow has a cover made from a blend of polyester and bamboo that feels great against the skin while providing you with a good level of breathability. One of the best things about this pillow that received lots of praise from users is the ability to adjust to suit your preferences perfectly. 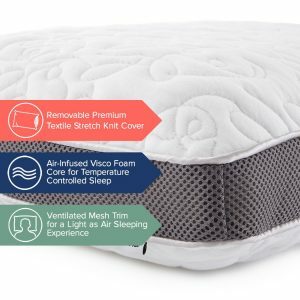 You can easily reveal the inner part of the pillow thanks to the zipper that protects the foam, so you can remove some of the foam or add some extra until you find the correct level of support that works for you. 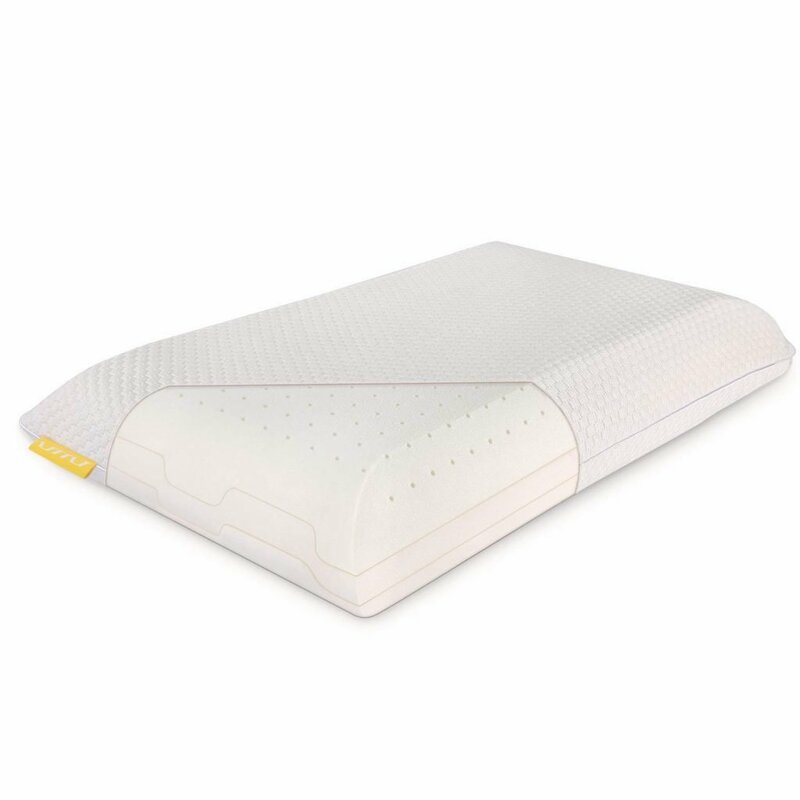 This pillow is recommended for all types of sleepers, including side, back and stomach sleepers, but in practice, it is a bit too firm for back and stomach sleepers, according to multiple reviewers. 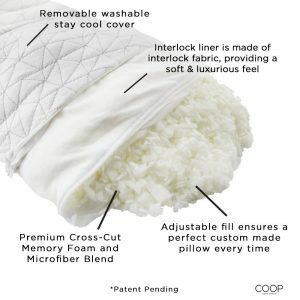 Designed to regulate the temperature during sleep, the cover of this pillow is machine washable and has an embossed design that makes it stand out from other memory foam pillows. 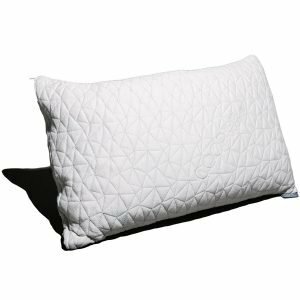 This is a great option for those who need a hypoallergenic pillow that is resistant to allergens and dust mites and is, in fact, one of the most affordable on the market that provides this level of comfort and bacteria resistance. Made from a single piece of memory foam, this pillow eliminates night overheating so you can kiss sweating and damp unpleasantness good-bye. This pillow has a rather unusual design but does a great job at regulating the temperature. The WEEKENDER Ventilated Gel Memory Foam Pillow is somewhat on the soft side, and its gel infusion makes it cool to the touch. The ventilated design of this pillow offers superior comfort, especially during hot summer nights. Many users liked the fact that the removable cover is machine washable, and that the pillow comes in no less than three sizes to suit just about everyone. The three-year warranty is also something that received praise from many buyers, as did the sinking feeling you get every time you rest your head on the pillow. Many users also liked that the pillow comes compressed and rolled in a box and that it decompresses almost instantly. According to the manufacturer, this pillow is suitable for all types of sleepers, but users have generally mentioned that it is ideal for side sleepers. Featuring a supportive design, the Perfect Cloud Double Airflow Memory Foam Pillow is one of the best choices about those who suffer from back or neck pain. The pillow offers comfort, support and pain relief and many users mentioned that falling asleep on it is similar to resting your head on a fluffy cloud, which makes the name of the pillow quite apt. While this is not a puffy pillow, it offers a feeling of comfort that many users weren’t able to find in other pillows. The pillow is hypoallergenic, which makes it ideal for those who suffer from allergies. 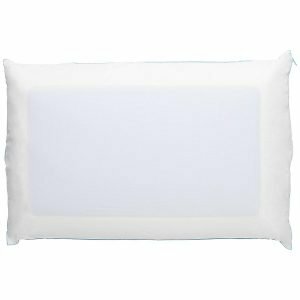 Perfect for nearly anybody, this pillow has a ventilated cool inner foam and a washable pillow cover that is very easy to clean. 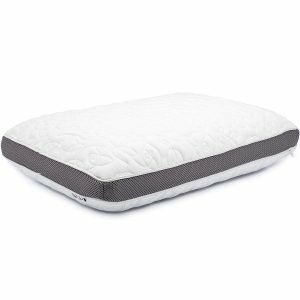 Users raved about the way the Perfect Cloud Double Airflow Memory Foam Pillow cradles the neck and head gently and provides an excellent level of support through the night. Many of them mentioned that they found themselves tossing less during the night, which means that the quality of their sleep is significantly improved. 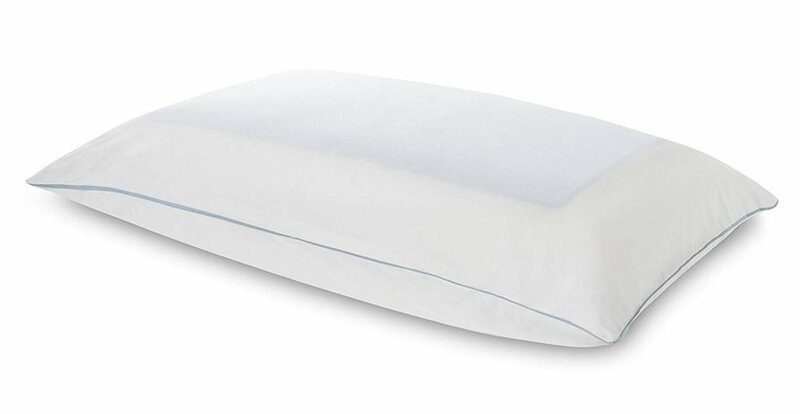 This memory foam pillow is designed in the USA and comes with an extended 10-year warranty for extra peace of mind. With many reviewers likening this pillow to those that you can expect to find in a hotel, the Simply Sova Premium Bamboo Shredded Memory Foam Pillow is a high-quality pillow made from shredded foam that works well for side sleepers, stomach sleepers, and back sleepers as well. Because it is highly adjustable, the pillow is an excellent choice for those who are looking for a way to relieve their neck and shoulder pain. 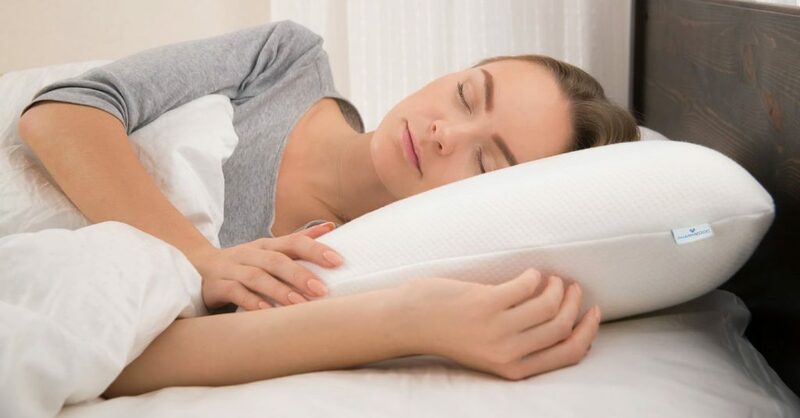 This pillow uses an “L” zipper design that lets you remove the internal layers with ease so you can create a personalized pillow that offers you the exact level of comfort you need. Because this is a firm pillow, it allows the neck and the head to remain aligned in a way that reduces the possibility of neck and shoulder pain. Users liked that this pillow is CERTIPUR certified, which means that it’s a good option for those who suffer from allergies. The pillowcase is also dust mite and bacteria resistant and is machine washable for extra easy care. The pillowcase is made from organic bamboo and polyester, and users reported that it feels very soft to the touch. 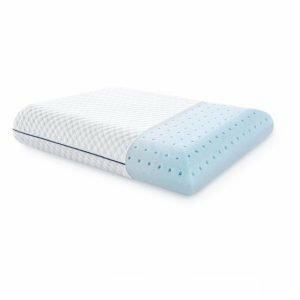 Memory foam pillows have been around for quite some time, and they have become popular mostly because they offer multiple health benefits that regular pillows don’t. 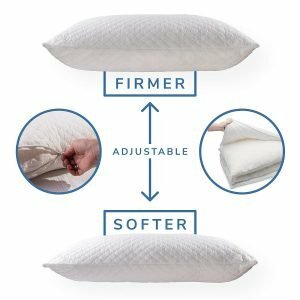 Besides being able to retain shape according to your unique requirements, these pillows also have a much longer lifetime than down pillows, which means that the cost of replacing pillows diminishes over the years. 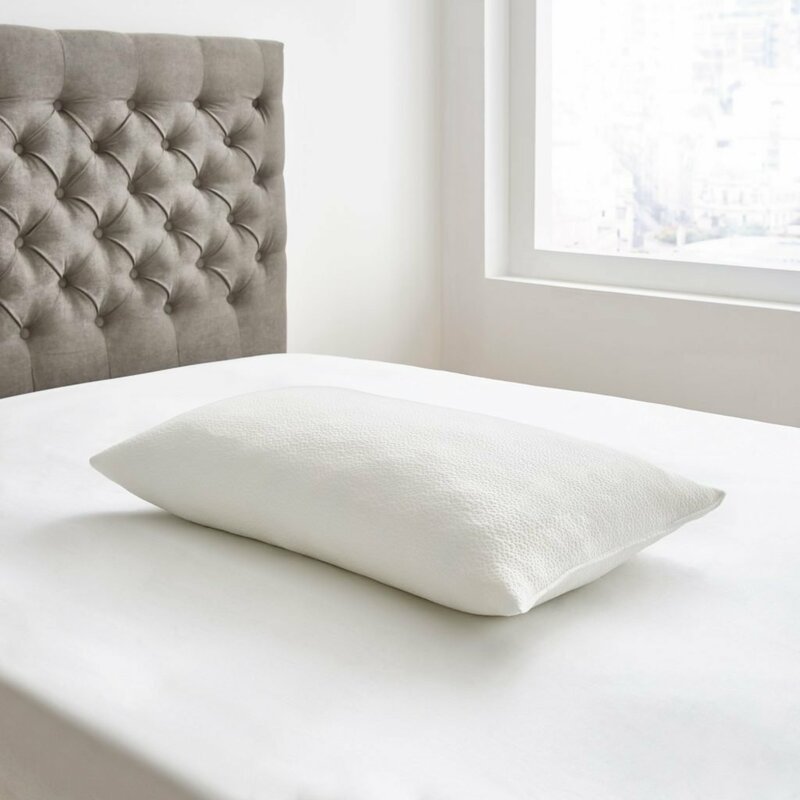 Below you will find a comprehensive buying guide that can help you find just the right type of memory foam pillow for your bedroom. Some of the most important benefits that come with sleeping on a memory foam pillow are related to your health, specifically the alignment of the spine and your neck. If you suffer from frequent headaches, or neck and back pain, this may be caused by poor spinal alignment, and it can be corrected by making sure you use a pillow that supports your head and neck correctly while you sleep. Moreover, memory foam pillows are hygienic and hypoallergenic, which means that you don’t have to worry about the growth of mold, bacteria, dust mites o fungus. This is an immense benefit for people who suffer from allergies. Finally, memory foam pillows do not go flat like traditional pillows, and they retain their shape over time. 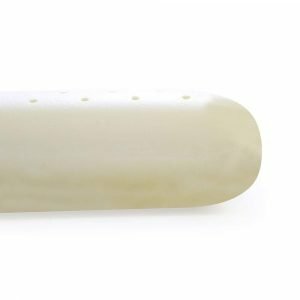 There are multiple features you need to consider before buying a memory foam pillow, ranging from the type of memory foam the pillow is made from to the kind of sleeper you are. Below are some of the essential features to take into account before parting with your money. The two main types of memory foam pillows are block foam models and shredded foam ones. 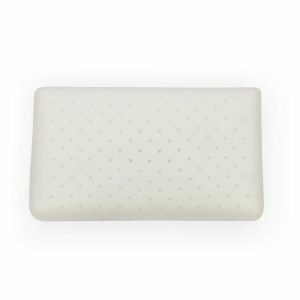 As their name suggests, block foam ones consist of a single block of foam that is not moldable and always revert to the original shape no matter how you squash or fluff the pillow. On the other hand, pillows made from shredded memory foam are moldable, as the filling consists of tiny pieces of memory foam that you can sculpt pretty much in the same manner you would do with a down pillow. Shredded memory foam pillows are a better choice for those who want a highly personalized experience. Moreover, these pillows are also generally less firm than block memory foam ones, which is something many people prefer. Unlike in the case of a down pillow, you can usually adjust the loft of a memory foam pillow, so you get just the right height for a perfect sleep. 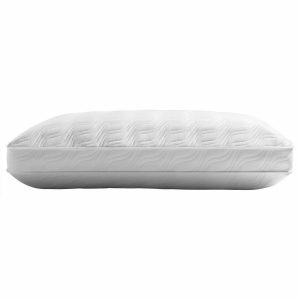 You can adjust shredded memory foam pillows by adding or removing the foam shreds until you reach the perfect height. 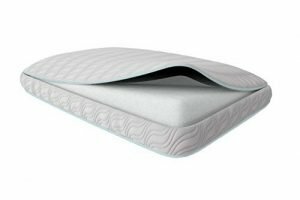 Loft adjustability is also present on some block foam models, such as the UTTU Sandwich Pillow for example. With this pillow, you can remove a layer to make the pillow lower or add an extra one if you want it to be higher. 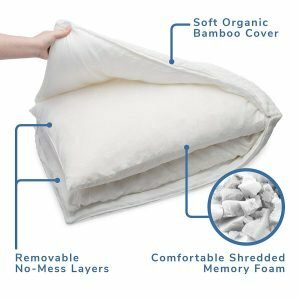 Most memory foam pillows come with removable pillowcases made from mixes of fibers such as bamboo or polyester, but you can also find models that are 100 percent polyester or bamboo. Make sure that the pillow cover is machine washable for extra easy care. Keep in mind, however, that most pillow covers are not tumble dry safe. Many pillows come in a variety of sizes to suit any type of bed, with Queen and King sizes being the most common ones. 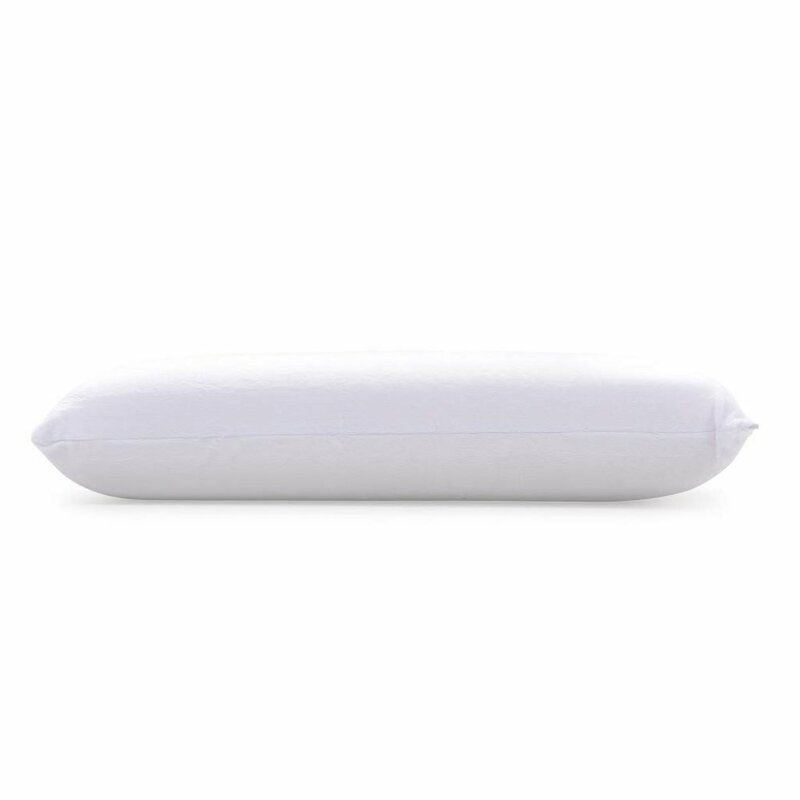 However, some models such as the UTTU Sandwich Pillow, come in a single standard size. 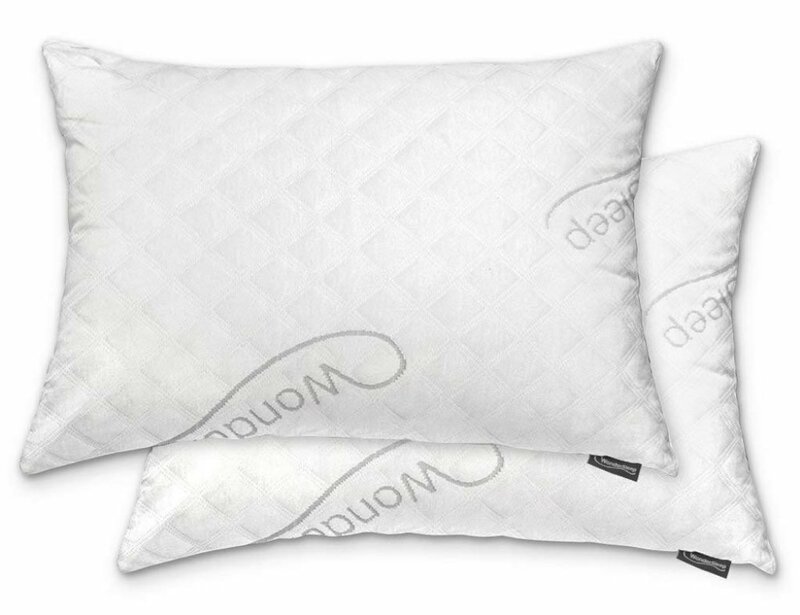 The majority of memory foam pillows are available in just one piece per package, but some models include two pillows in a package. 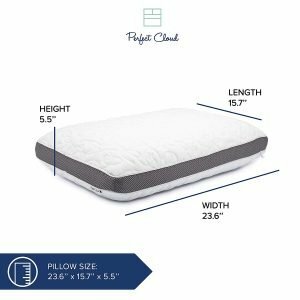 If you want two memory foam pillows in a set, the WonderSleep Premium Adjustable Loft Memory Foam Pillow is a good choice. The type of sleeper you are has a great impact on the kind of pillow you should opt for. Make sure you read the instructions provided by the manufacturer to make sure the pillow you want to buy is suitable for your sleeping style. Many of the pillows we reviewed are ideal for all types of sleepers, but it is always a good idea to read reviews to learn more about the experience different types of sleepers had with the pillow you intend to buy. Generally, softer pillows are better for stomach sleepers, whereas back and side sleepers should opt for a firmer pillow. The latter in particular should opt for one that offers plenty of neck support, such as an orthopedic pillow. The firmness rating for memory foam pillows generally differs from one brand to another, but as a rule of thumb, you can opt for soft, medium, or firm pillows. 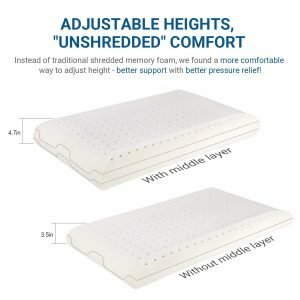 For memory foam pillows made from shredded foam, you may be able to adjust the firmness to suit your preferences by adding or removing foam shreds. While the pillow cover is machine washable more often than not, the actual foam may not be. Make sure you read the care instruction provided so that you can clean the memory foam pillow correctly. 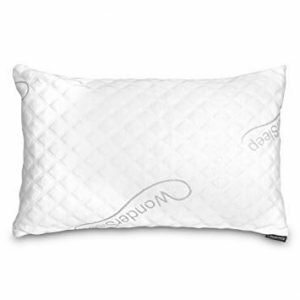 You should expect at least one year of warranty for your new memory foam pillow, but there are also many models that offer five or even ten years of warranty for extra peace of mind, such as the Perfect Cloud Double Airflow Memory Foam Pillow, for example. If something is wrong with the pillow during the warranty period, you should be able to receive a replacement. To get the most of your memory foam pillow, make sure you allow for a break-in period of at least two weeks. This will give the pillow time to adjust to the confirmation of your body and offer personalized support for your neck and head. Also, keep in mind that even though it is a common opinion that the firmer a memory foam pillow is, the better you will sleep on it, this is not always the case. A pillow that is too firm for your head and neck may crush your face and ear, so make sure you go with a level of density or firmness that suits you personally. Why do I have neck pain when I wake up? Neck pain when waking up is generally caused by sleeping on a pillow that doesn’t provide you with a good level of support. By opting for a memory foam pillow that adjusts to your body shape, you can improve the quality of your sleep and alleviate neck pain as well. How do I wash my pillow if it isn’t machine-washable? If your pillow is not machine washable, the best course of action is to follow the instructions provided by the manufacturer. In many cases, these may include dry-cleaning or simply running warm water on the foam until it comes out clear. Most pillows come with a machine washable pillowcase, though. What firmness should I go for? The level of firmness you need in a memory foam pillow depends on the kind of sleeper you are. If you’re a back sleeper, a medium thickness pillow would work best for you, but if you tend to sleep on your stomach, you would be better off with a softer pillow. Side sleepers, on the other hand, would do best with a medium-high thickness pillow. How long does it take to ‘break in’ a memory foam pillow? Many memory foam pillows require at least a couple of days to break in, which means they need some time to get adjusted to the contour of your head and neck. With some models, you could expect this period to be up to two weeks. Different types of sleepers need different pillows, and this is also true in the world of memory foam. Whether you are looking for a pillow that is perfect for a back, side, or stomach sleeper, you can find a suitable one for your needs in our selection. Our best all-around choice is the Tempur-Pedic TEMPUR-Adapt, which provides an excellent level of comfort at a good price. 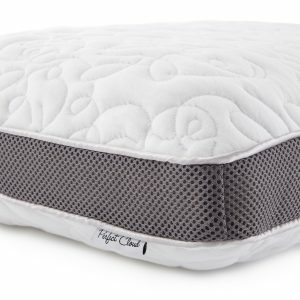 If you’re more interested in a memory foam pillow that remains cool to touch no matter the temperature, the TEMPUR-Cloud Breeze Dual Cooling Pillow could be the perfect choice for you. 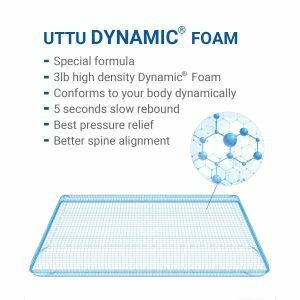 Finally, those interested in a high-quality pillow that also comes with an extended 10-year warranty could find the UTTU Sandwich Pillow a great proposition. 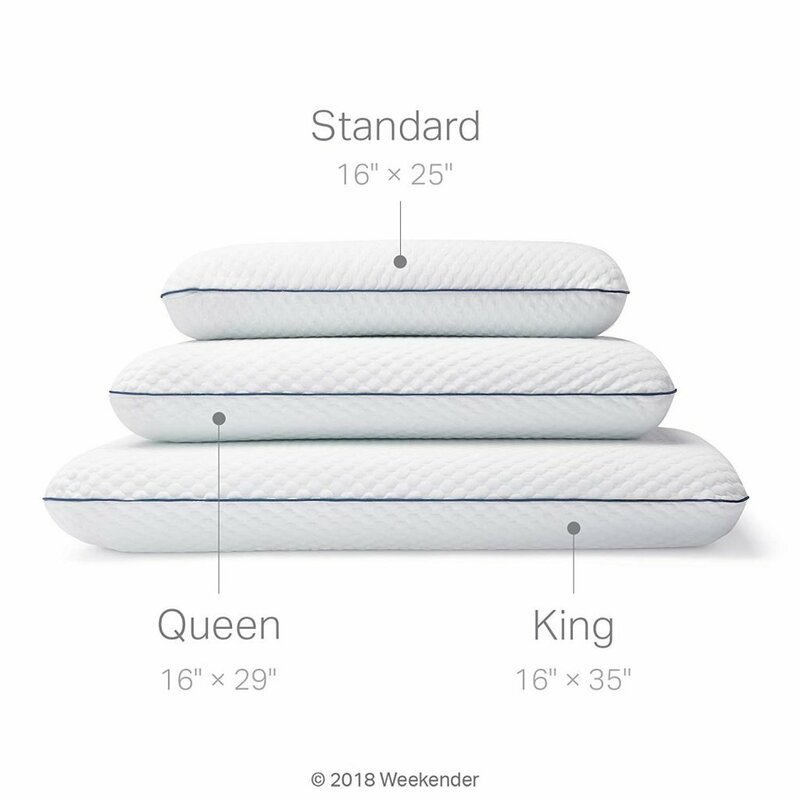 No matter what model you decide to go for, remember to look at the specifics of each pillow to be sure it’s the right one for your body and kind of sleeper you are.